Perhaps you’ve noticed that I’ve been doing a few posts with gift ideas from retailers in downtown Northfield. In fact, I’ve now done a solid dozen as sources of ideas for your shopping convenience. There are so many other possibilities, but time is getting short. So I thought I’d just mention a few additional shops with clever and good things for the naughty and nice people on your gift list. There’s clothing, including Anna’s Closet, Fashion Fair, Kids on Division, Ragstock, Rocky Top, and Willie’s Shoes. There are antiques, including Antiques of Northfield, D & M Gathering, Hodge Podge Que and Old Stuff Antiques, and there is art, including Anthologie & the Garage, Art-On-Water Gallery, Barefoot Studios, the Craft Collective, Eclectic Goat, the Northfield Arts Guild Gift Shop, and Northfield Dance and Fitness. There are the gift shops, including Glass Garden, the Northfield Historical Society, Jenkins Jeweler, Monarch, Paper Petalum, Rooms by Tagg 2, Secret Attic, Studio Elements, swag, and Three Pines Gifts, and, of course, the retail stores, including Ace Hardware, Aquatic Pets, Bierman Home Furnishings, Fit to Be Tri’d, Mike’s Bike Shop, NAPA Auto Parts, Northfield Liquor Store, and the Used A Bit Shoppe. 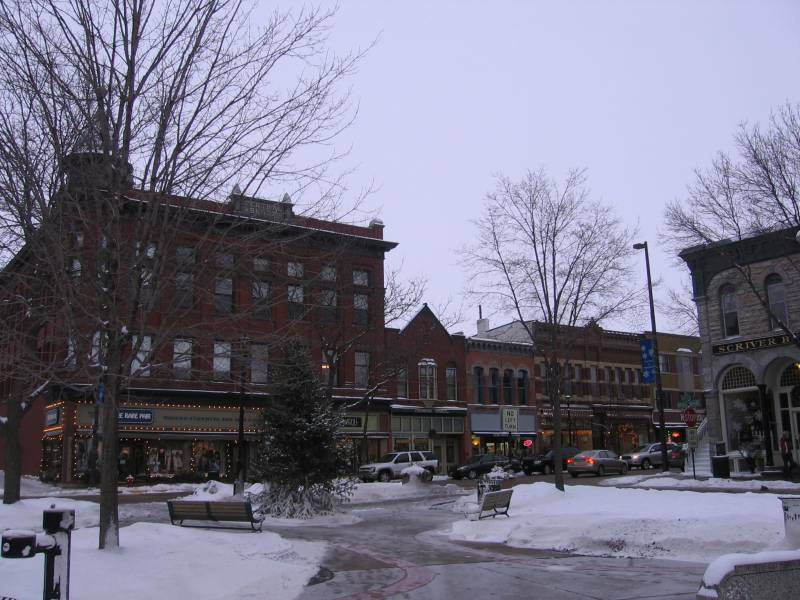 In fact, there are well over fifty fine establishments in Downtown Northfield where you can find some great gifts for your holiday shopping. And that doesn’t include the restaurants and service providers, who would be happy to make a gift card available to you. So come on down(town) and check out the exceptional offerings in Northfield, Minnesota.